I have always been intrigued by anything transformed by fire; fire is what drew me to working metal. The excitement of a burning forge and hammering hot iron drew my attention and hooked me immediately. 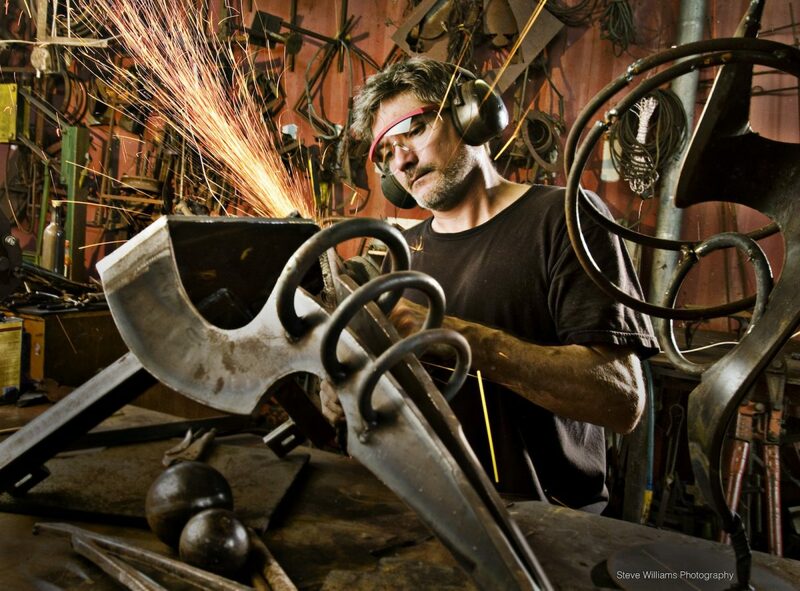 Being rooted in the venerable blacksmithing tradition, I still use my hammer and anvil daily, but I also use modern power tools and computer controlled machinery. I taught myself how to sculpt metal through reading books and experimentation. Along the way, I learned how to combine ancient and modern techniques. I enjoy the challenge of bringing life to steel, imparting a feeling of motion and expression to an unyielding and heavy material. What has developed is an intuitive physical process of heating, hammering, bending, welding, and grinding that produces organic and rhythmic sculptures from hard iron. Over the last twelve years I have focused on public art. I’m proud to have placed sculptures in some of the cities here in Florida. I believe that art enriches all of our lives and brings us together. It offers cultural identity and civic pride. I enjoy the creative process from conception to installation.